Excellent for home & office use! This plastic and metal constructed stapler is excellent for home or office use. Bigger jobs are not a problem as this stapler staples up to 20 sheets and a 1/4" throat depth and has a anti jam mechanism. 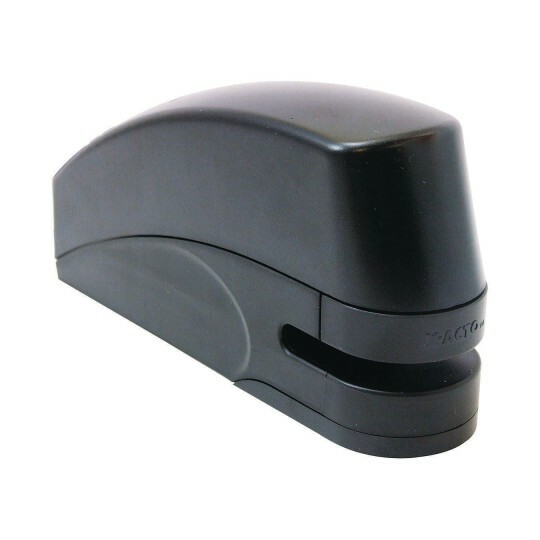 The stapler has easy push button frontloading, requires no cartridge and holds 210 standard staples. 5’ cord gives you an ample usage range.